Shorrel Jade is an extremely talented female wedding singer vocalist and DJ who specialises in wedding entertainment, funerals, private functions and events. Based in South Yorkshire and with a degree in Musical Theatre, Shorrel Jade has vast experience performing professionally, not just weddings and events, but also cabaret and musical theatre throughout the UK. Shorrel offers a top quality service that is both professional and affordable to make your special occasion that more unique. Why play a CD when you can have a professional vocalist and DJ to entertain you and your guests. 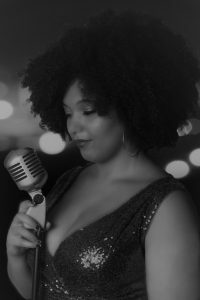 Available to book for any event, Shorrel Jade’s repertoire consists of many genres including easy listening and chart music, and specialises in soul and motown. Click to have a look at the music page for more information on Shorrel Jade’s repertoire. Shorrel has thousands of backing tracks in her library and if you have a request she can always accommodate.